This monograph addresses the phenomenon of mass harm and how it may be resolved through collective redress. It examines particularly how such redress may be achieved through mechanisms such as multi-party actions (MPAs). In order to do this, an analytical framework is created against which to evaluate various multi-party procedures. This is illustrated through the experience of a selection of common law jurisdictions in dealing with mass harm – namely that of England and Wales, Canada, Australia and the United States, as well as that of EU collective redress. 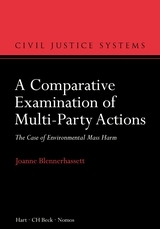 It examines multi-party action laws benchmarked against the objectives identified in the analytical framework. 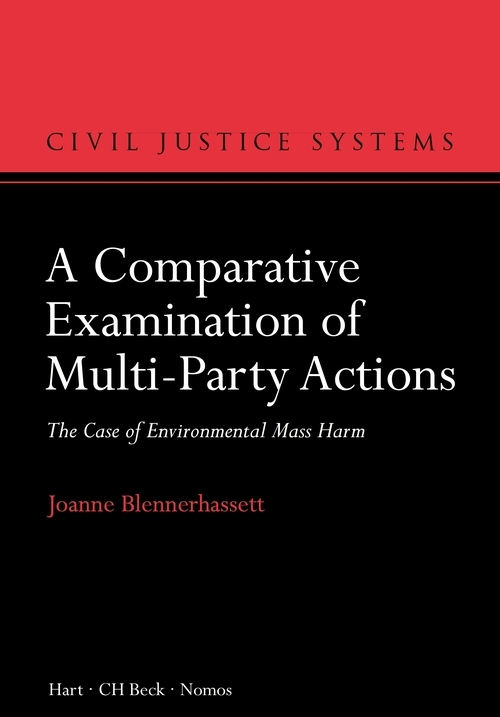 The phenomenon of environmental mass harm in particular is explored as a case study, as it illustrates some of the difficulties that may arise in mass harm litigation. Also, this work explores where the best solutions for mass harm redress may lie in the future – perhaps in collective actions or through alternatives such as regulation and alternative dispute resolution or a combination of these. Finally, the experience of mass harm litigation in Ireland is examined, as currently this jurisdiction does not have an effective mechanism for dealing with mass harm.